We have various kind of material solutions for blow bars to work in different conditions from low to high wear or impact, to reduce the cost for our customers. High manganese blow bars are used for applications with large feeding size and high impact, but not suitable for high abrasive materials because of low wear resistance. With high hardness ceramic inserts, it will largely increase the hardness on the wear face and increase the service life. Blow bars made of martensitic steel are used in primary or secondary crushing applications where high wear or impact both exists. In these applications the Mn steel is not suitable for its low hardness whereas chromium white iron is not durable for impact. When inserted with high hardness ceramics, the martensitic steel blow bar is dramatically enforced for wear resistance on the wear surface. This makes them the ideal solutions used in primary or secondary crushing where wear and impact resistance are both required. The life time is doubled or longer on martensitic blow bars without ceramic inserts. The blow bars are made of white iron casting with 26%-28% chromium (Cr) contents. High Cr content provides very good wear resistance for the blow bar but naturally lack of impact toughness against shock. These blow bars are normally used in secondary or tertiary crushing applications where high abrasive is required with no harsh impact. When used in the same applications, the high chromium blow bars with ceramic inserts will largely increase the hardness on the wear face, as a results, the blow bars will obtain excellent wear resistance and much longer lifetime than blow bars in high chromium casting. We provide genuine and after-market blow bars for many international brands, and custom-made solutions as well according to customers' specifications. 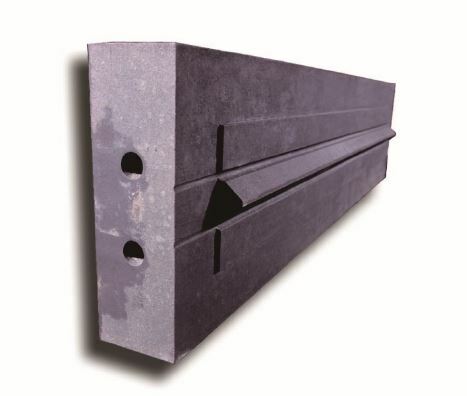 Compared with conventional martensitic blow bars, MMC martensitic blow bar with ceramic inlays has higher hardness on the wear faces while no compromise on its strength of basic martensitic steel. 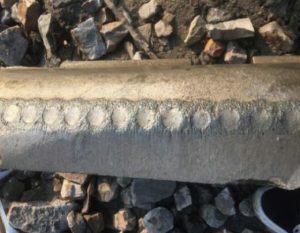 It can be applied in most cases which conventional martensitic blow bars are used and obtains up to 2 times or longer life time of conventional martensitic blow bars. Although chrome white iron blow bars is outstanding for its high hardness, in some cases of crushing very abrasive materials like granite, more wear resistant chrome blow bars are needed. MMC chrome white iron blow bar with ceramic inlays is a good solution for crushing such high abrasion materials. With further hardness increased by inlaying ceramics on wear faces, the blow bar can achieve as long as 2 times or longer service life of conventional chrome blow bars.